Thought I would post one of my recent Beaker style point replicas. It is made from Grand-Pressigny flint from France. I made quite a few of these when I was at Uni in Exeter. I collected flint from Beer and used the local Greensand orthoquartzite for most of my replicas. I'll have to post some of those soon. It'd be great to see some of the other forum members replicas of this type. Anyone try their hand at them? Beautiful point and some superb notching, way better than me. Also I've always wanted to get my hands on some French flint, that dark brown stuff looks amazing. 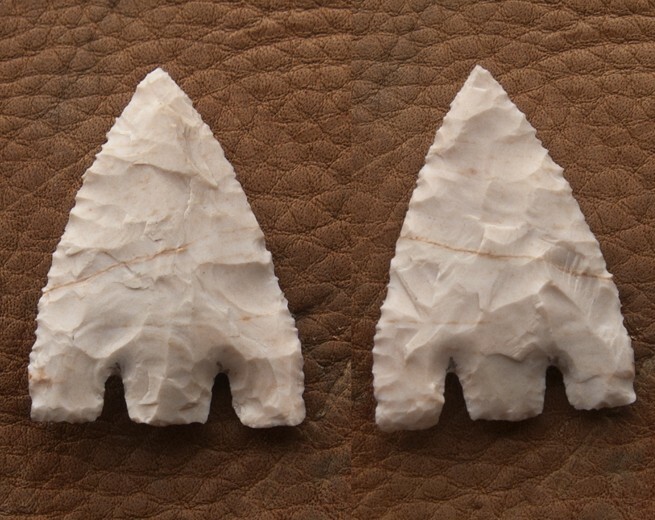 I'm also getting into French knapping at the moment. Some superb work by Bernhard Ginelli, especially his Charavines knives. I saw a vid of him making them. His Levallois is something too, I wouldn't mind learning to do it. 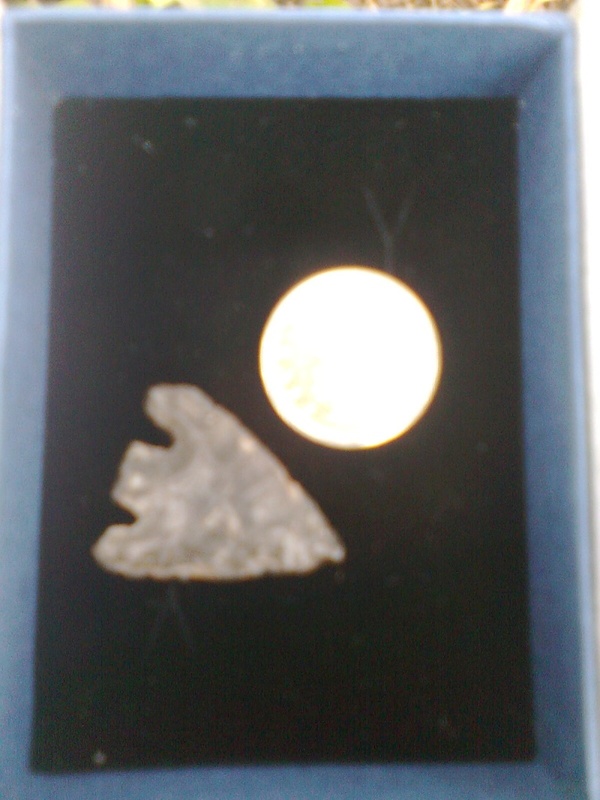 and when I finally got hold of some flint intended to try and become competant at making them. Got some flint a couple of weeks ago and only yesterday made my first attempt. Couple of basic errors, left pic, by the tip is an isolated ridge, ok in the middle of a wide piece but inexcusable so close to the tip. Also didn't thin one side of the base enough (right side right pic) so when I shot the thinning flakes up from the base for the notches, this one didn't travel far enough. On the other side I could have pushed the notch much further. Thanks for the welcome and good words about my work. Your replica looks pretty good. The best tip I can give you on notching is to be aggressive; as long as the platform is correct you should be able to remove crescent moon shaped flakes with pressure. It's important that they not crush at all inside the notch or you lose the energy needed to detach a good sized notching flake and without those... you get thick quick and stall the notch. That is a very nice piece of knapped flint. it turned out there there was another site very nearby with flint scatters, and was possibly a production site for arrowheads etc. I'm jealous, that's a beautiful barbed and tanged your friend found, it's quite rare to find them that quality and with both ears on tact. Appologies for the poor photo, but here is three barbed and tanged lovelies for oogling, the middle one was a piece of flint found in a field and it was white all the way through and flaked with worrying ease, I think it was heated sometime, possably it was part of a chimney in the distant past? Very nice, that one on the right looks as if it's from the wessex burial. they are very nice indeed, i aspire to work like that!